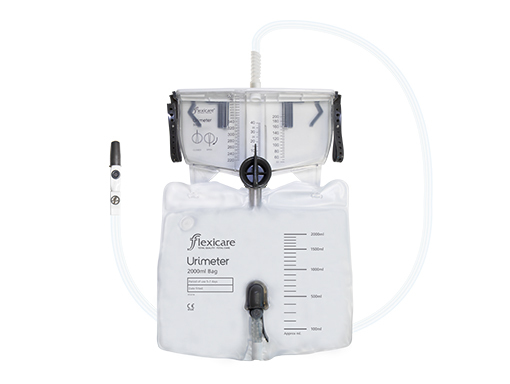 Urimeter is a sterile closed collection system with an integral measuring chamber. 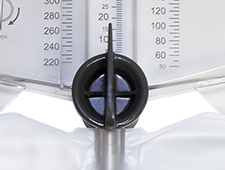 The vertical drainage system and incorporated non return valves (NRV’s) ensure the measuring chamber empties fully once the reading has been taken to ensure accurate measurements especially with low urine output. The lever tap can be housed in the holder when not in use to prevent the tap touching the floor or being accidentally opened. The hydrophobic filter allows for the air and any gas build up in the bag to escape without allowing proteins or fluids to pass through. Non-return valves reduce the risk of ascending infection and allows low pressure drainage without compromising the anti-flux property. The vertical drainage ensures accurate measurements. Minimises damage to the bladder wall. Vertical drainage ensure accurate measurements. Non-return valve reduces risk of ascending infection. Tap holder reduces potential contamination or accidental opening. 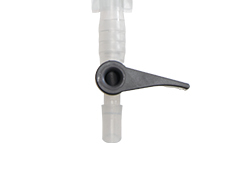 Anti-kink attachment allows unimpaired flow whilst our soft tubing aids patient comfort. The three chamber system allows accurate readings of small volumes of urine with a smooth action 180° tap. The hexagonal tubing reduces surface tension allowing urine flow and increased accuracy. The integral hangers and detachable straps ensure the Urimeter is securely attached to any bed frame. Integral hanger and straps fits wide range bed frames and straps can be easily removed if not required. The needle free sample port eliminates the risk of needle stick injury.